The countdown to the final season of Game of Thrones is on after a seemingly never-ending wait. One of the most popular television shows ever made, Game of Thrones, has millions of dedicated fans eager to see how the story will end, while also completely unwilling to let it go. Knowing how much love fans have for the show, HBO have set up a scavenger hunt hiding six Iron Thrones around the world. Having attended various Comic Cons, I have seen the excitement in fans’ faces as they lay their eyes on replicas of the famous spiky chair. It doesn’t matter how uncomfortable it looks though, any Game of Thrones fan would want to sit on the Iron Throne, following in the footsteps of Robert Baratheon, his ‘son’ Joffrey and ‘loving’ wife Cersei Lannister. 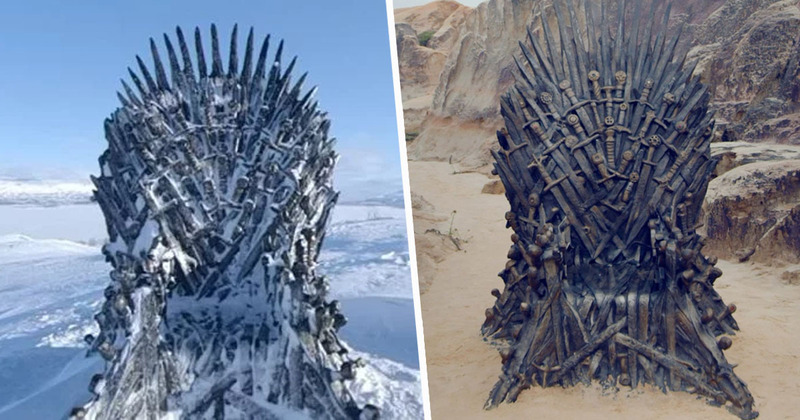 HBO’s scavenger hunt then is pretty clever, as fans are now searching for the six life-size replicas which are scattered across the globe. The only clues as to the location of the thrones are a series of one-hour-long videos which give you a 360-degree view of the scenery. With few identifiable landmarks in the videos, the scenes are pretty generic and one is still yet to be revealed. At time of writing (March 25) fans have found four of the six thrones, two are still unclaimed. The claimed Iron Thrones were discovered in the UK, Spain, Sweden and Brazil, so if you live in other countries you may be in luck – I’d start searching soon. HBO are also asking fans to bleed for the throne, by becoming a blood or platelet donor, offering those who do the chance to win premiere tickets. We invite you to join us by scheduling your blood or platelet donation today, and you could find out who’ll bleed in season eight before the rest of the world! Come to give by March 17 and you’ll automatically be entered for a chance to win one of five trips to the season 8 world premiere of Game of Thrones! Trip includes travel for two, up to two nights hotel accommodations and a $250 gift card for expenses. The final part of the ‘For The Throne’ campaign saw 18 artists from around the world reimagine 18 of the show’s props.